The sweetest images of Russian bears and foxes you can find on the internet. 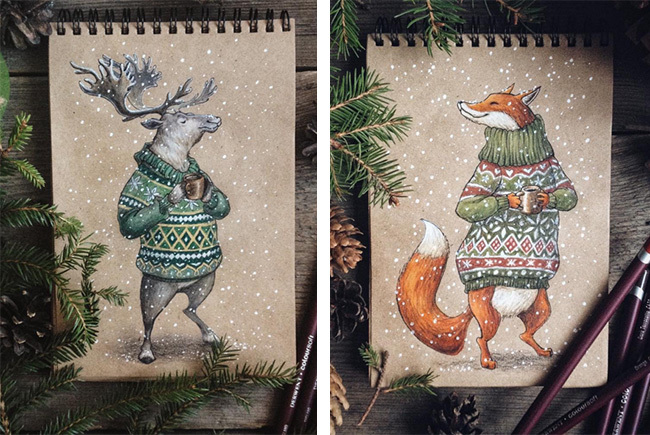 Russian artist Lia Selina captures Russian animals in a fairy-tale style. Her images resemble the fables of children books where all the forest inhabitants live in harmony and peace. In these wonderful pictures white bears, deer, foxes and whales all wear warm knitted sweaters. Every animal holds a cup of tea and looks content and cuddly.